It won’t surprise any of you to hear that we’re as focused on our mission as ever. We’ve been exploring a few new ways to get our message — that you can’t hate yourself healthy — out to the world. and we are beyond psyched to share that we’ve got an incredible opportunity coming up this spring: A retreat with me (Kristen) and our resident coach and yogi, Alison Heilig at Hilton Head Health (aka H3)! And, ultimately, we’ll put it all together and help you create a personalized healthy blueprint that’ll have you showing yourself unconditional self love (and feeling healthier than ever) long after you’ve gone home. Because, really, that’s our biggest goal — to help you realize that everything you need is already within you. You might just need a little help finding it. Hilton Head Health is recognized as a world leader in destination wellness resorts. Our community of supportive dietitians, psychologists, wellness educators, fitness trainers, chefs and spa therapists draws upon H3’s decades of experience to create personalized medically based programs that will help you achieve real results and set you on a path towards sustained health and wellness. When you treat yourself to an H3 vacation, you come home with more than a souvenir. You come home a changed person with a game plan for living a healthy life. Looking for a more specific answer as to what they’ve got at H3? In addition to the Love Yourself Healthy Program, you’ll have access to a variety of fitness classes (Pilates, TRX, Zumba, barre, yoga, cardio boxing, beach walks and more), meditation options, healthy gourmet dining, a spa, and more. 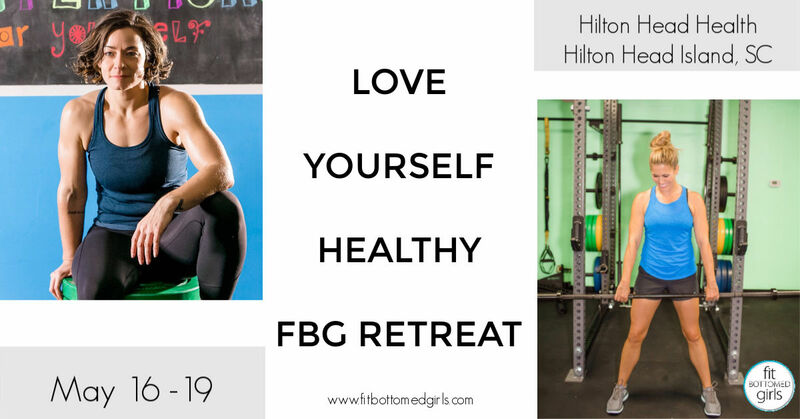 H3 is well-known for its weight-loss programs and certainly has resources for specifically that on its property, but for this retreat, we’ll really be focusing on finding fitness and health at all sizes. So no matter your goal, come join us! If you’d like to register (or just learn a little more), you can get all the basics and pricing here, and more detail on the program here. What a great opportunity for people to get together and progress shape and health wise. These are the kind of activities that most people need in their communities. Such a great post Kristen! Thanks for sharing, be happy and stay healthy!